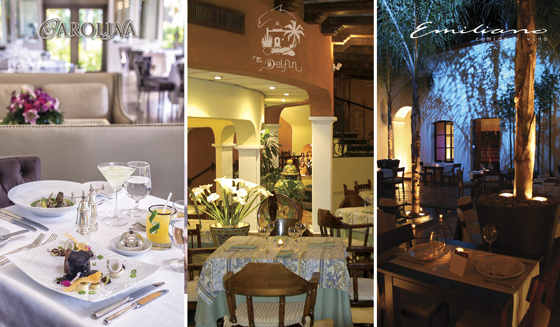 The chosen restaurants include El Delfín in the Garza Canela Hotel in San Blas, Carolina in The St. Regis Punta Mita Resort in Bahía de Banderas and Emiliano Cocina y Vino in Tepic. The list of “120 Best Restaurants in Mexico” was recently published in the 2017 La Guía México Gastronómico and three of Nayarit’s restaurants were on it for the second year in a row; the list is considered by experts as the most complete of its kind in the country. One of the selected establishments is the El Delfín restaurant in the Garza Canela hotel in San Blas, led by the Riviera Nayarit’s Culinary Ambassador, Chef Betty Vázquez. Located in The St. Regis Punta Mita Resort on the Riviera Nayarit’s Glamour Peninsula, Carolina is the pride and joy of Chef José Meza and another of those chosen for the list. Last but not least, the prestigious list showcased Tepic’s Emiliano Cocina y Vino, with Chef Marco Valdivia heading the kitchen. The ranking of La Guía México Gastronómico pays tribute to all the culinary tendencies in domestic cuisine. Fifty members of the Editorial Board of Voters on Mexican Cuisine visited the restaurants anonymously so they could later vote for those who made the list. It’s important to point out the list is not in order of importance as it’s organized in alphabetical order, meaning all restaurants are equally important.